Welcome to the Phi Gamma Delta, Zeta Chapter website. On this site you will find relevant information if you are an alumnus, current brother, potential brother, or an interested visitor. Our fraternity has been on Indiana University’s campus since 1871 and we have a long history of community involvement, high moral values, and a strong sense of brotherhood. Our brothers have leadership positions and high involvement in many campus groups and activities; striving to have a positive effect on our campus and surrounding community. The bonds of brotherhood formed at Phi Gamma Delta will create lifetime friends and memories. Over this past year, the brothers of the Zeta Chapter continued to excel in all areas. The brothers set the record for the highest semester GPA in over two years with a 3.35. Also, make sure to “like” our Facebook page! 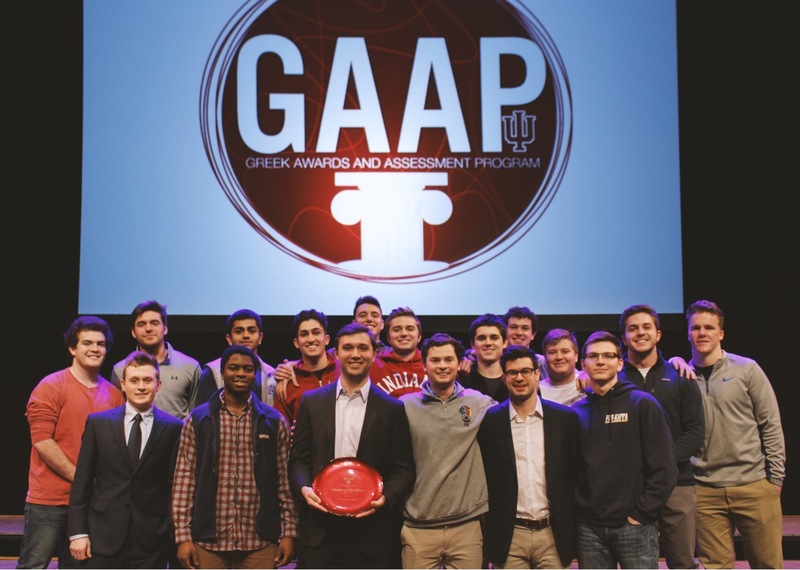 Phi Gamma Delta won “Most Outstanding Chapter” out of all IFC Fraternities at the GAAP awards. Fiji was the only house awarded this honor.